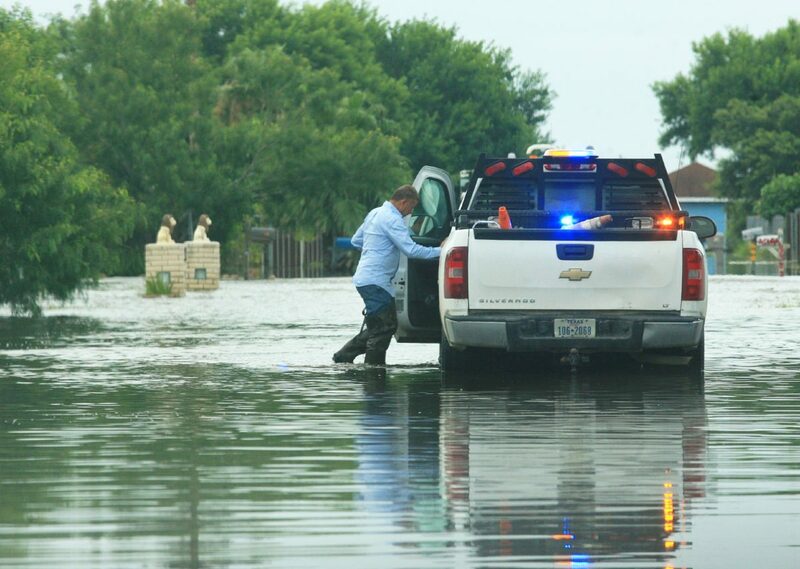 EDINBURG — Hidalgo County Drainage District No. 1 will ask voters in November to approve a $190 million bond that could raise the district’s tax rate by 3 cents. Hidalgo County commissioners, which double as the district’s board of directors, called for a bond election Tuesday to address some of the flooding that occurred in June, when floodwaters seeped into thousands of homes in eastern and western Hidalgo County following a severe thunderstorm. The summer rain highlighted some of the county’s most vulnerable areas, especially within Precinct 1, where many of the affected homes were considered “repeat offenders” or houses that had previously been damaged by other similar rain events. Precinct 1 Commissioner David Fuentes, who oversees that precinct, said his office worked with the surrounding cities to identify nearly $166 million worth of needed improvements in his precinct alone. “Even if we do a 3-cent (increase) that won’t be sufficient,” Fuentes said. Still, the county must continue to address infrastructure needs as it continues to grow, district general manager Raul Sesin said. The countywide projects, which have yet to be detailed, would positively affect more than 50,000 homes in Weslaco, Mercedes, Mission, McAllen, Palmview, Edinburg, Edcouch, La Villa and Alamo, Sesin said. 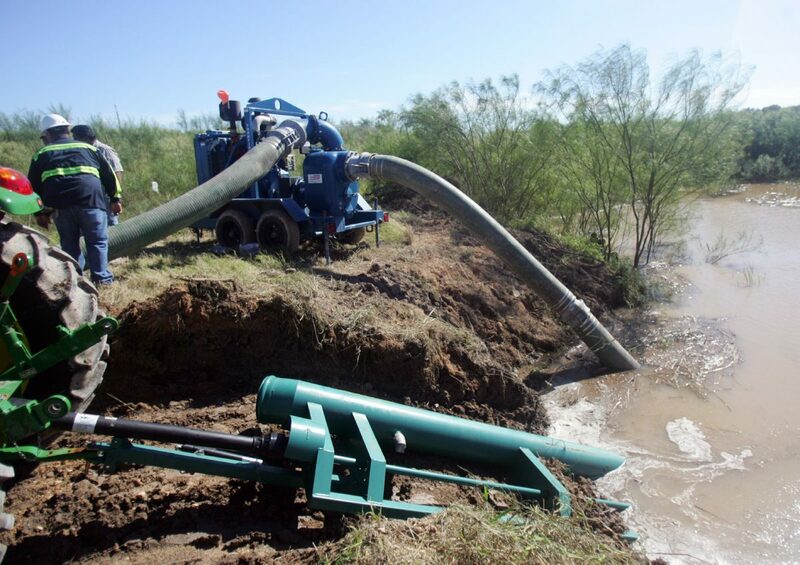 If passed, the district would also allocate about $20 million toward the completion of the Raymondville Drain, a major regional project that is designed to carry water from Western Hidalgo County to the Laguna Madre. Whatever the district spends on the regional project can be reimbursed by up to 75 percent through the federal government, Sesin said. He also noted that the county did not sell $100 million out of a $184 million bond that voters passed in 2012 to address the drain. The language in that bond requires the federal government to reimburse at a 90 percent rate and that’s no longer the case, essentially preventing the district from selling the remaining $100 million. So now, the district is forced to once again go to the voters for approval. “The drainage district cannot incur debt for any type of capital improvement project without voter approval,” Sesin said. So voters will have to decide whether to pass the bond referendum in November. If passed, the new debt would require a 3-cent tax rate increase, which would take the current rate of 9.5 cents per $100 valuation to 12.5 cents. For a home valued at $100,000, that would equate to an increase of about $30 per year, Sesin said. “We’re hopeful that people can look at the impact that we’re going to have with this investment and help us be able to develop these projects to help many areas that were affected by the last rain event and previous events,” Sesin said.